As is the case with each new generation of Pokémon games, there's going to be a third version to round out the newest set; except this time it's a third and fourth. It seems Pokémon Black Version and Pokémon White Version will be getting direct sequels: Black/White 2. 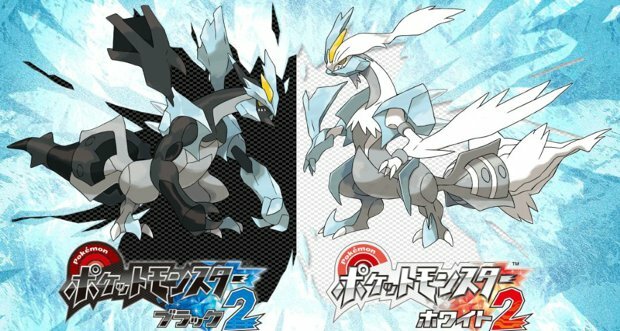 If you've been keeping up with the latest entries to the series, then you'll know that Reshiram, Zekrom, and Kyurem filled this gen's "Legendary" roles with the former two gracing the games' covers. Had Game Freak stuck to their trend, this third game would feature Kyurem on the cover and most likely be dubbed the Gray Version. They didn't, and it isn't; this has me interested. The single image released so far shows what appears to be a fusion of both Reshiram and Zekrom with Kyurem. Since they were both originally the same being, that makes a lot of sense. On the whole, I've loved the direction the series has gone in with the latest games and the idea of a direct sequel has me pretty excited. Look for it later this year on the plain ol' not-3D DS.